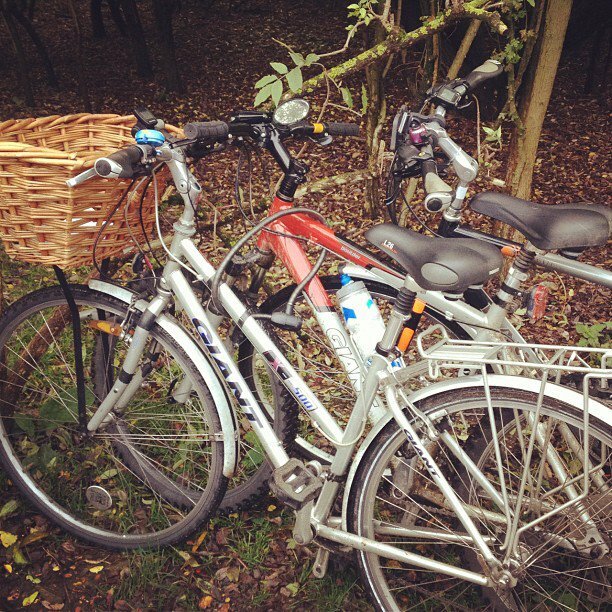 I was recently introduced to a local cycling group in Cambridge through a friend of The Secluded Tea Party. Esther voluntarily runs the “Beg Bicycles“ Cycling group in and around Cambridge, with this particular group being about the beautiful and locally made Beg Bicycles, a “Sit Up and Beg” bike that steals the heart of every person who lays eyes on it. 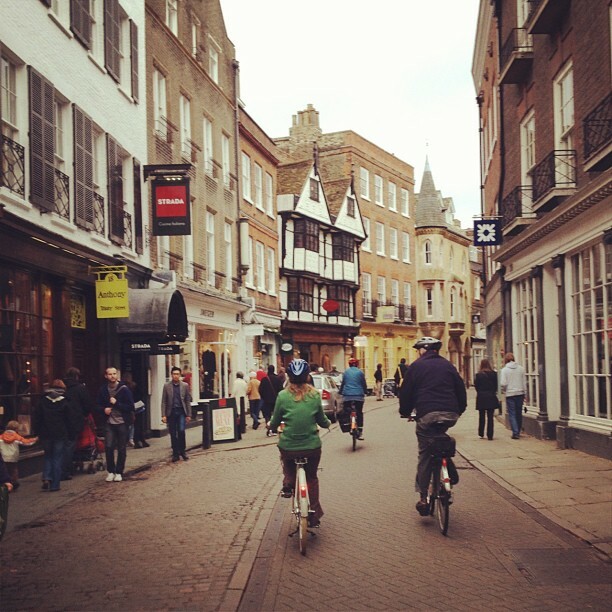 You just have to look at it to see why the lovely Esther is so passionate about this ride, it’s the most fun bike I’ve ever seen and it suits a leisurely ride in Cambridge down to the ground. This isn’t the Lycra-clad kind of cycling group that I had feared, no no. 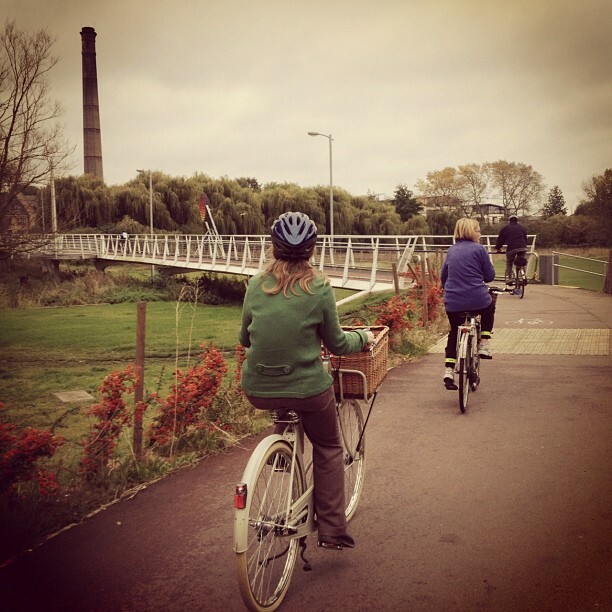 This group is made up of members who fancy a relaxed bike ride as more of a social outing, a natter in between bike paths and obstacles such as roads or out of control tourists to contend with. And naturally, to keep the very “British” feel to proceedings, there is a tea stop or two. Wahoo. Failing a tearoom stop en route, a pub may sometimes be planned into the ride. This is my kind of ride! Open to anybody and everybody, man or woman, with there being a 50:50 mix, The Beg Bicycles Joy Ride is usually held on the last Sunday of every month and has been running for well over a year now, with a strong following of members, there is usually 8 – 15 riders each month, depending on the usual variables. I decided to join Esther and her fellow cyclists at Newnham Park a few weeks ago on a beautiful autumnal morning, to meet at the free car park with my mountain bike (which was embarrassingly dirty from my ride the day before, but it didn’t matter) where I was welcomed with ever so friendly faces and introductions to each of the members. 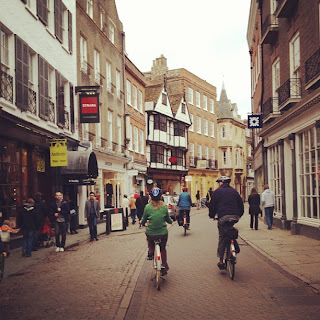 I was made to feel relaxed from the start and I was very much looking forward to my first proper ride through Cambridge, something that is brand new to me, even though I’ve lived here all my life. I’m a country girl, so a city ride was weirdly exciting for me. It didn’t matter that I didn’t have an old fashioned bike, some members are mountain bike owners too, it truly isn’t a problem. 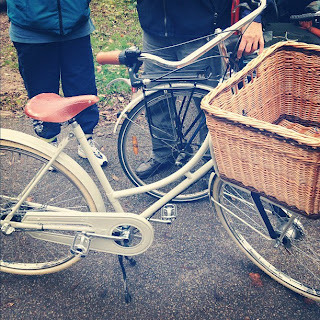 It’s simply about adoring Esther’s beautiful Beg Bicycle and spending the entire ride wondering how you are going to justify buying your own and precisely which accessories you will purchase to adorn your dream bike for future rides. … It’s truly how my thought process went throughout the ride! It’s a gorgeous bike and Esther talked me through exactly what it was like to ride, how she had tackled a few challenging hills on this beauty over the last year and more importantly, we all discussed our favourite tea stops, locally and nationally. It was so much fun talking to like minded tea lovers whilst keeping fit at the same time. It’s the perfect match for the afternoon tea lover in me. So, to our planned route. 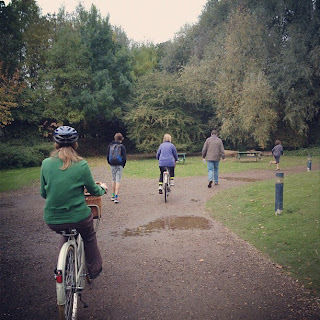 We cycled from Newnham Park through to the Millpond, before dismounting to head up towards Fitzbillies on Trumpington Street. We turned left and up Kings Parade, taking in the beautiful sights of Kings College before dismounting again to walk up Trinity Street (one way street here) to Bridge Street. 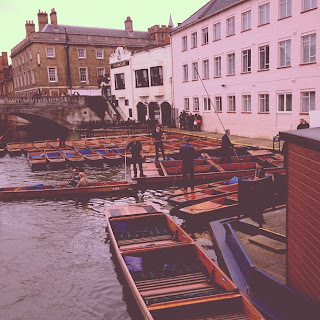 From here, we cycled past the Varsity Hotel to Jesus Green and along the river towards Midsummer Common, continuing past the Sunday Morning rowers all the way up to Ditton Fields. 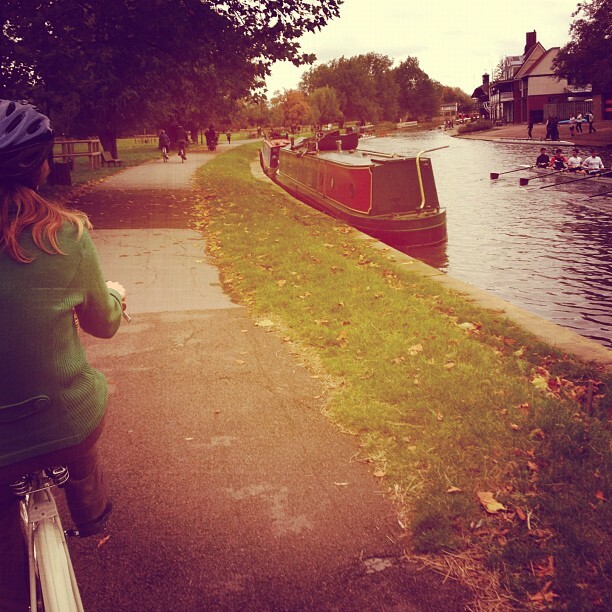 It’s beautiful along the river, something I’ve never done before on wheels and I enjoyed the friendly faces you pass on bikes, with everybody enjoying the autumnal views of boat houses and trees as you head out towards Milton Country Park, our destination for today’s pit stop. After a whiz around the park, trying to avoid the muddy puddles in case Esther came flying off her beautiful bike in a “deeper than it looks” kind of puddle, we stopped at the small coffee shop for a huge mug of coffee and a mid-morning treat to re-fuel. 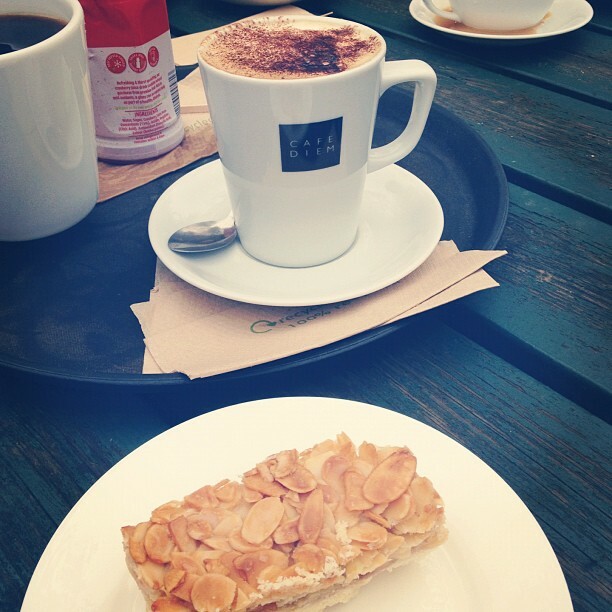 I went for a cappuccino and a gluten free Bakewell slice, which although was a little crumbly, was delicious and melted in my mouth. We enjoyed the fresh air & sunshine at the outdoor seating area and smiled at the lovely dogs that passed us whilst still nattering about the finer things in life, such as our experiences of posh hotels and afternoon teas, easily amused hehe. We headed up to Milton Tesco roundabout and took a left over the A14 bridge, which is actually steeper than it looks, heading back towards the River Cam and taking in the beautiful buildings and streets in Chesterton that I had never really given time to admire before, it’s actually a very pretty part of Cambridge when you look closely. Believe it or not, it truly is! We picked up the tow path back towards Midsummer Common, past all the beautiful narrow boats with friendly owners admiring the bikes as we passed. With the winning part of the ride for me being the final leg, cycling back down Trinity Street towards Kings College. What a view! – The old shops on Trinity Street loom over you in a way that I’d never really noticed when walking the cobbles over the last 25 years or so. 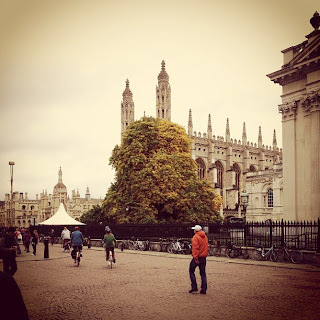 It’s a must for any cyclist in Cambridge and a view you simply need to take in, with Kings on your right as you meander through the aimless tourists that I would normally get annoyed at by foot or in the car. We racked up around 12 miles on our journey and I enjoyed every minute of it. In fact, so much so, that I took the mister back a week later to show him the route and he loved it as much as I did! 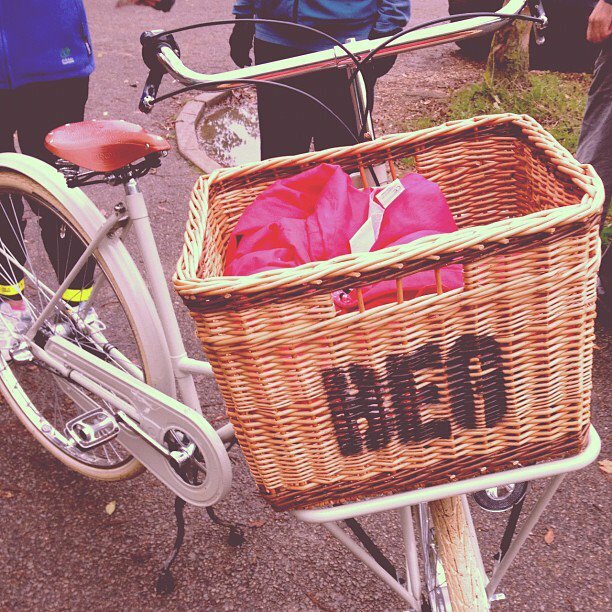 The next Joy Ride is on Sunday 25th November in Melbourn this time. Meeting for a leisurely ride around this beautiful Cambridgeshire village, followed by a pub lunch to toast the year and get ready for Christmas. It’s one not to be missed and not too far out of town. Perfect. To find out more, simply visit the Beg Bicycles website below and have a nosy at their beautiful blog on previous Joy Rides as well as features on the Beg Bicycle in all it’s glory. 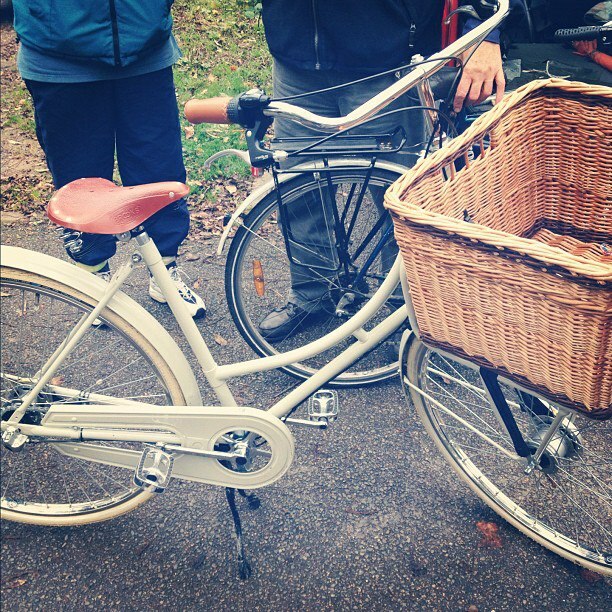 And ask for Esther to get you on the mailing list and keep you posted on the monthly rides.